The wine world is thriving, but the environment around it—physically, economically—is changing rapidly and will have long-term implications for continued growth. 1) The “new normal.” Continuing to scramble the game board in the face of ongoing economic uncertainty, fewer consumers are willing to pay luxury prices, with predictable results on sales at every tier. In the U.S. market, the “sweet spot” of $12 to $15 slipped to $9 to $12 in 2009, and has remained. Anything over $20 is a tough sell. In fact, the $50 to $100 price point has been dubbed the “dead zone” by the industry. There is a rush to discount wines across the board and there is a fear, on the part of the industry, that consumer buying habits have changed for the long term. Meantime, wineries are reconfiguring marketing and sales strategies, with increased emphasis on development of Web-based tactics, wine clubs and tasting room sales. Bottom line for the consumer: wine nirvana. There has never been this much great wine available at such affordable prices. 2) Changing of the guard. Winery executives and owners are trying to figure out if they’re going to stay in the game or sell out, especially family businesses wondering if the next generation is going to take things on. Entrepreneurs like Bill Foley, who believe in the long-term growth of wine consumption, are buying wineries (Chalk Hill, Sebastiani), while well-run family operations rethink what they’re about and who they should be marketing to (Boomers or Millennials?). 3) European wine flexes its marketing muscle. The European Union followed up the market reforms it instituted in 2008 with the promised funding: over a four-year period, well over 828 million euros ($1.16 billion) to support the marketing of European wine. We’re already seeing new styles of labels, unique media concepts and new visibility. Italy is, not surprisingly, leading the charge as the number- one exporter from Europe. 4) Continued export growth for Argentina and Chile. Both countries managed to beef up export numbers globally and to the U.S. in particular, and in a soft market. This further cements their status as the most serious forces among new players in the New World. Also consider: Chile persevered through an 8.8 earthquake in February that caused significant infrastructural and psychological damage; and Argentinean Malbec has been the hot wine of the year. 5) Climate change. France is dry, Portugal is hot and California is cold: six consecutive years of chilly vintages with 2010 being the coldest ever or nearly so. The coast is cooling off while the interior is heating up. Related is the struggle to parcel out water rights for agricultural use will continue to vex the industry and have a real impact on winery budgets, and therefore, prices to consumers. 6) Green wines. Wineries ponder the economics and marketing appeal of green wines—not just organic or biodynamic, but focusing on the issues of sustainability and carbon emissions. 7) Exchange rate fluctuations. Severe fluctuations are increasing the costs of doing business with European producers and making South American wines more attractive, while the strength of the Australian and New Zealand dollars is negatively impacting those countries’ wine industries. 8) Oversupply. 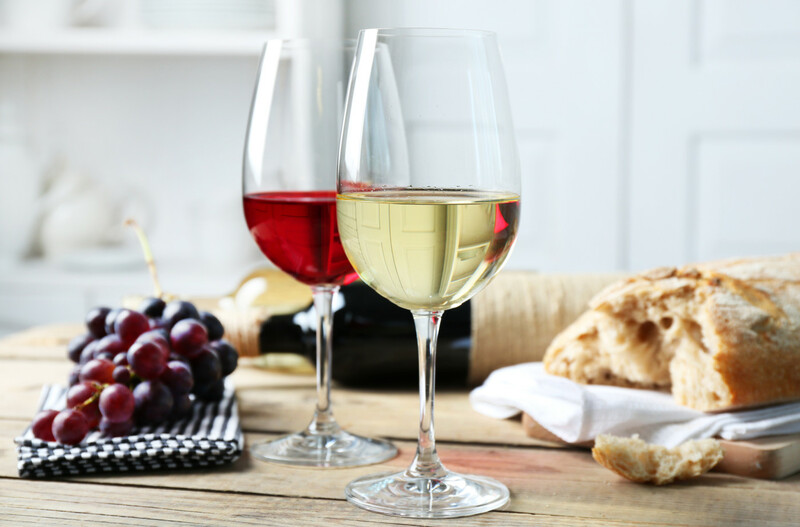 Wine in oversupply in various parts of the world and price segments are making this a buyer’s market, but at a time when consumers struggle for a sense of economic security. 9) Château Lafite-Rothschild in Asia. Vintages of this iconic winery have become an outsized status symbol above and beyond the other first growths in Asia, the most visible symbol of the way the bottomless pockets of Asia’s elites have vaulted the prices for Bordeaux 2009 top growths into the stratosphere. 10) State sales of alcoholic beverages. At least four states are considering an end to their state-run liquor stores, but if Washington State is typical, no change will happen soon. Two initiatives on November’s midterm ballots in Washington—1100 and 1105—would have ended state control of liquor sales, but both failed to pass. Agreement there among the winemaking community is that the state should get out of the business of selling alcohol, and simply regulate it. So many issues to ponder, so little time. For the purpose of farewell, I will express the hope that the most vexing issue you face is which bottles to open at midnight on New Year’s Eve. Happy New Year!